The Nuuka software is vendor agnostic. 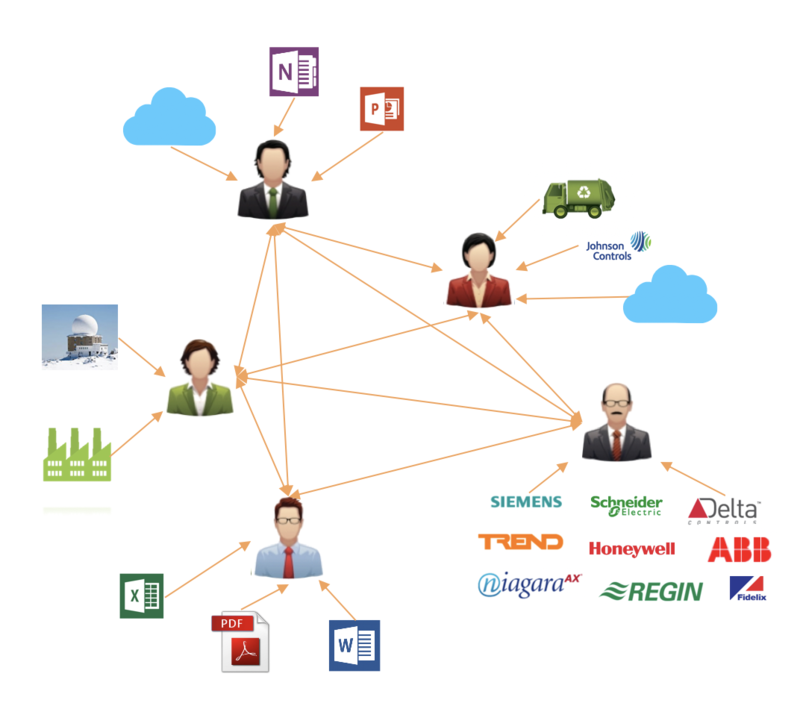 Silos of data prevent organizations from sharing information effectively. Real-time Building Management Software for data-analytics. Where up-to-date information is always available to the right recipient. Nuuka’s Smart Building software consists of a Platform with, on top of it several Application Modules, that can be used alone or combined. The Platform contains all basic functions for building information management, such as user management, property information, data collection and integration solutions, AD integration, data warehousing and data management, as well as the Nuuka API service. 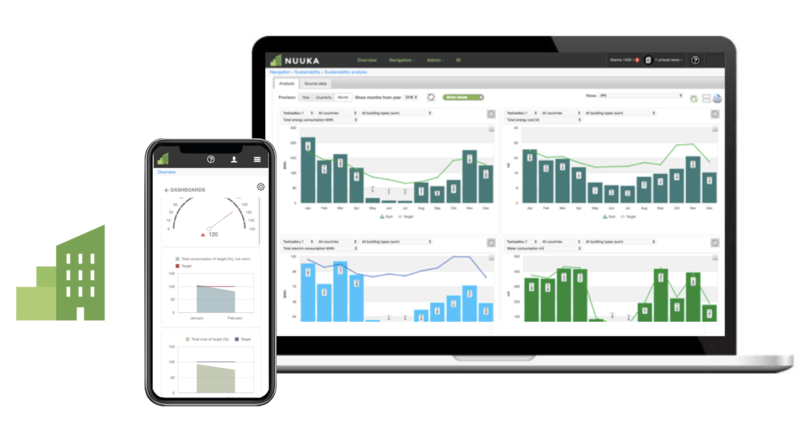 The Nuuka energy management module is useful for reporting and optimizing your energy consumption on a portfolio or building level, down to individual rooms or loads. It supports the latest method of monitoring energy consumption as set out in building regulations in many countries to help determine how energy is consumed in a property. The module also provides energy costs and CO2 emission reports. 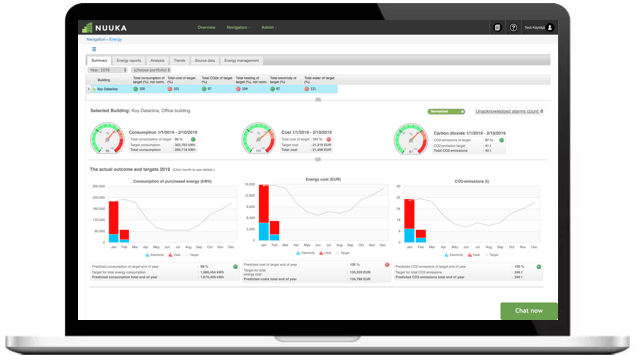 The energy management module helps you reduce the energy cost of your buildings and discover where improvement efforts are needed. It immediately generates alarms if any devise is malfunctioning. 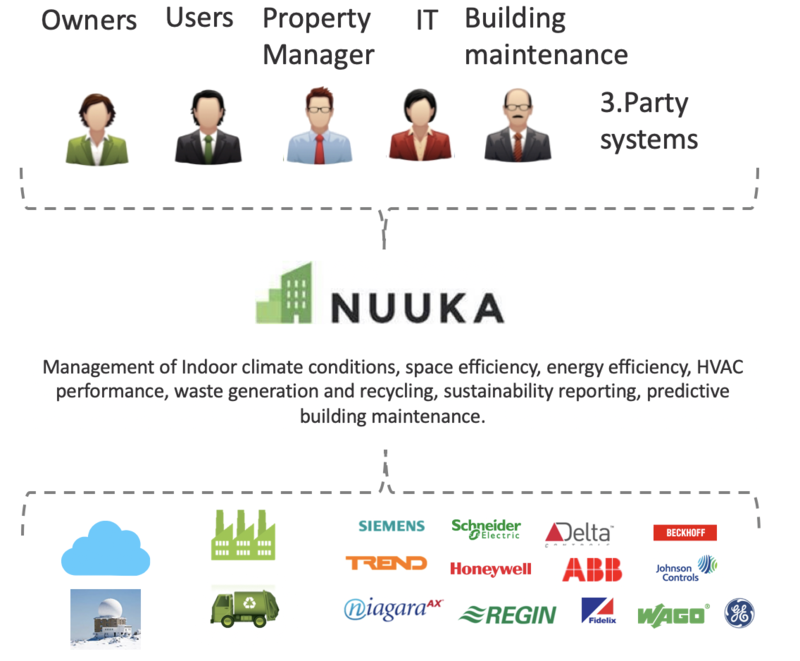 The Nuuka process performance module is useful to follow and optimize all complex processes in your buildings such as heating, cooling, lighting and more. 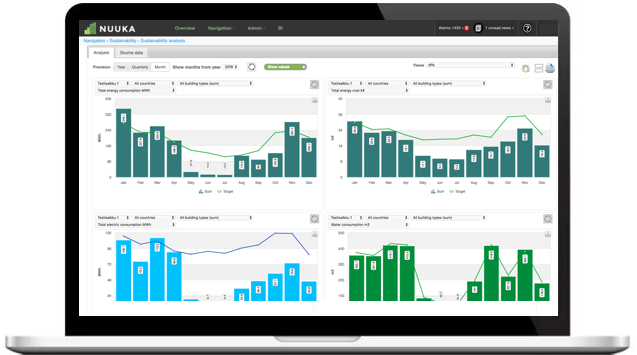 The results are visualized in a KPI dashboard and generate notifications and alarms of abnormal situations. 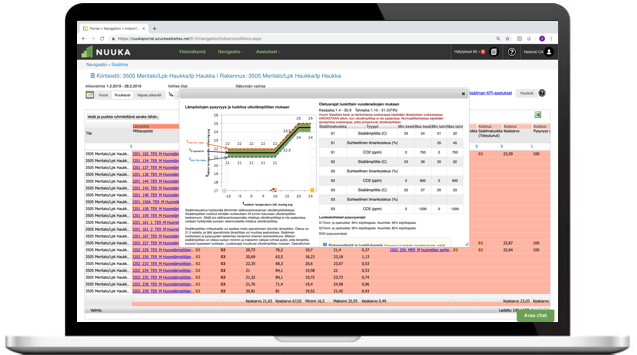 The process performance module really allows you to control your buildings and is a powerful tool to decrease the energy cost of your buildings. It enables you to discover and service failing equipment before it brakes and lead a proactive building and facility maintenance. The Nuuka indoor climate management module is useful for monitoring and reporting climate conditions such as temperature, humidity, CO2, VOC, particles, noise, lighting intensity. This can be done on a building level, floor level or room level and the reporting follows international indoor condition classification standards and best practices. The indoor climate management module will ensure you can provide your tenants with a comfortable and healthy working and living environment. Be proactive and avoid complaints about too cold temperatures, too humid air or bad ventilations. The Nuuka space efficiency module is a tool for monitoring, analysing and optimizing the occupancy of buildings, areas and room and rates and people flow. 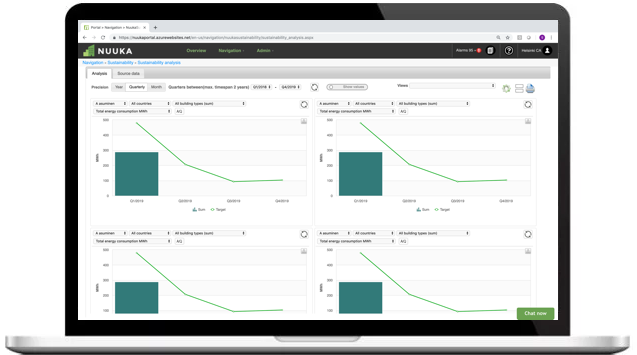 The Nuuka sustainability reporting module can be used to compile asset level data required for the most common sustainability performance reporting standards such as GRESB and GRI. Sustainability data is also available for cities reporting need and formats. The Nuuka tenant and home monitoring module visualizes the breakdown of electricity, heating, cooling and water consumption, waste fractions as well as the indoor air conditions of an apartment or an offices space. The module helps and inspires your tenants to be more aware of their consumption. It enables them to make more conscious choices and reduce their environmental impact. The Nuuka waste reporting module enables a detailed reporting of your building’s waste fractions and material flows.